Your Albuquerque Kings go 4-0 in Phoenix Arizona at the 13th Annual Suns Roundup Tournament. The Kings started strong by beating the New York Knicks 60-41. Game two of the tournament was against UofA. It was a close game but pulled away at the end to win 61-50. The 3rd game of the day came against Las Vegas. 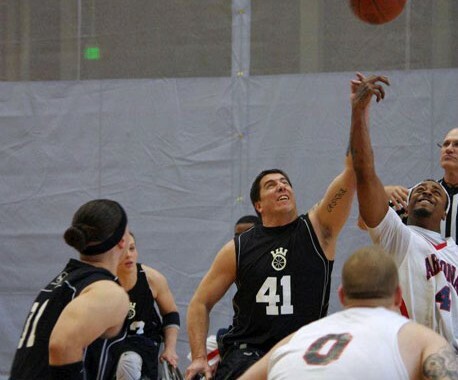 The Kings took the victory 74-56, sealing a shot to play for first place in the tournament the next day. The Kings end up playing against the #4 team in the nation, Golden State. It was a close game but the Kings pulled through with a 68-63 win. March 2nd the Kings go to Las Vegas for the last regular season tournament before nationals. Las Vegas may prove to be the toughest tournament of the year with many of the best teams in the nation showing up. 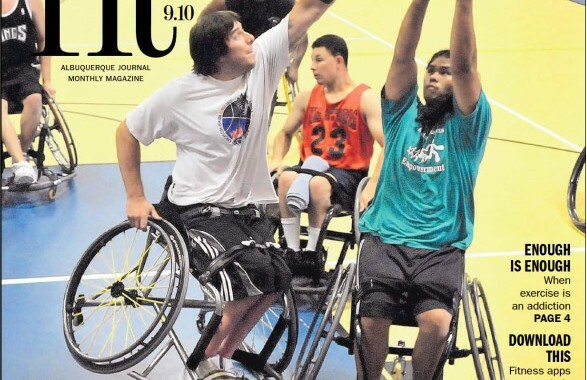 Kings are traveling to Phoenix Arizona this weekend to compete in the 13th Annual Suns Roundup. Here is all the information bellow! The Duke City Darlins do it again! 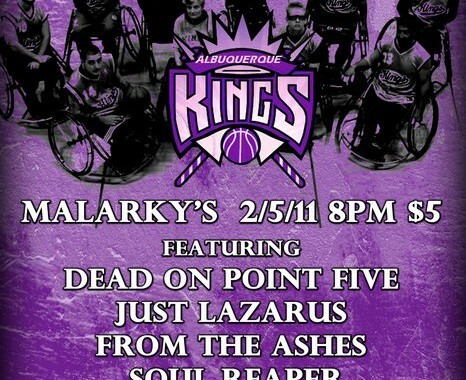 The Duke City Darlins are once again hosting an event to help support the Albuquerque Kings. 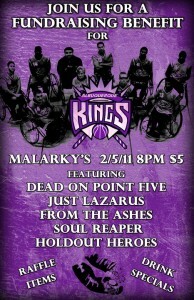 The event will be held at Malarky’s featuring Dead On Point Five, Just Lazurus, From the Ashes, Soul Reaper, and Holdout Heroes. There will be Raffle Items and Drink Specials. Event begins at 8pm $5 cover. This event will directly help the Kings. 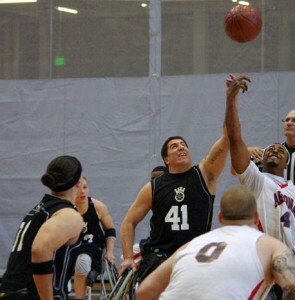 With the Duke City Classic next month (February 26th and 27th), the Duke City Darlins are truly helping out their Albuquerque Wheelchair basketball team. These ladies rock!!! Please contact us for sponsorship opportunities or if you have any questions regarding your donations. Click download for a pdf flyer donate/sponsor form. You can also contact us with any questions. Thank you! Dance the night away while helping the Kings! 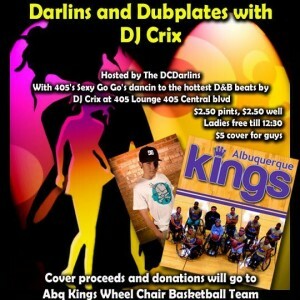 The Duke City Darlins are hosting an event at the 405 Lounge with D&B beats by DJ Crix. Ladies get in free till 12:30 and $5 cover for the gentlemen. 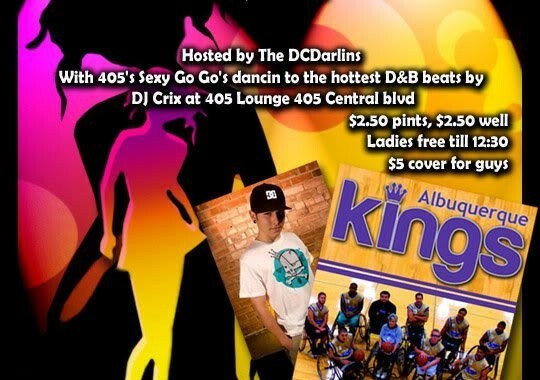 All cover proceeds and donations go to your Albuquerque Kings so come support!!! 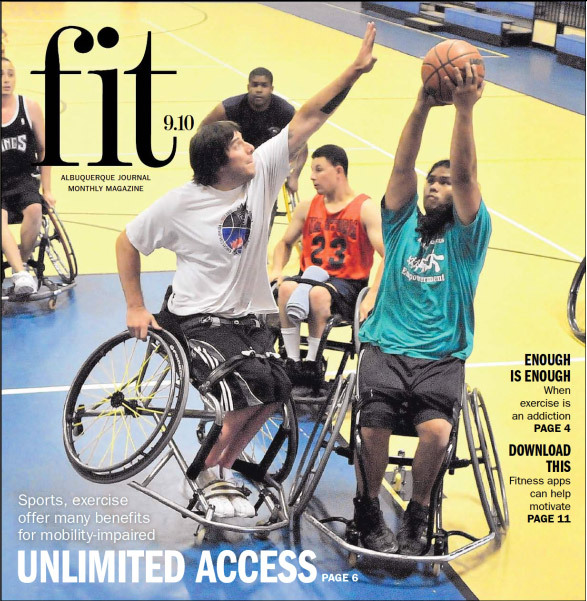 Amanda Schoenberg, Journal Staff Writer for the Albuquerque Journal writes about the Albuquerque Kings and other sports options for mobility impairment. The article further goes into other sports like hand cyling, hiking, weight lifting and the importance of keeping healthy. The Kings are always thankful for any opportunity to bring awarness to our sport and the wheelchair sporting community. If you are interested in playing with the Kings or just want to try it out for a day. Call us at 750-GOAL .